Hornby Hobbies will be moving its offices back to Margate in January and will be creating new showrooms at the site in Ramsgate Road. Hornby moved distribution to Hersden in 2014 and office functions to Discovery Park in 2015, ending more than 60 years of work in Margate. But now the Scalextric and model train giant is moving back to the site. Hornby also runs its Visitor Centre from the site. He added: “We have already started moving furniture in and the showroom will be dressed in the next few days in time for a preview for the model press. Mr Kohler said last year the company had to travel to Birmingham and set up a mobile showroom, meaning permanent space in Margate is a boon. Hornby moves back alongside Locomotive Storage Limited, which bought the site for £2.25million after the model firm moved out. Locomotive Storage provides storage for locomotives and rolling stock, such as the Bittern which arrived in June. 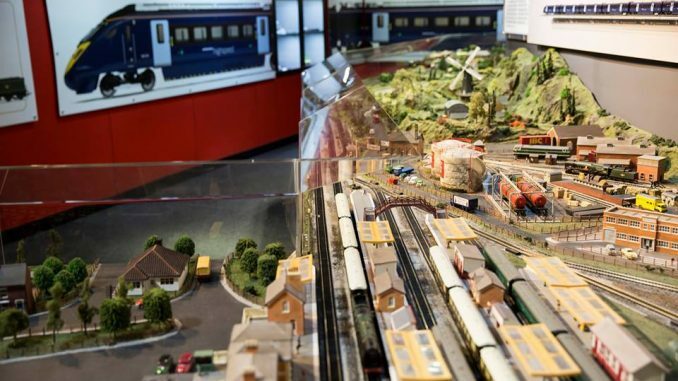 North Thanet MP Sir Roger Gale said: “I am delighted that Hornby Hobbies has announced, that the company will be returning to its Margate home in the new year. Great news.. and some common sense from a business for once. The combination of the ‘real’ and the ‘model’ side-by-side should hopefully prove a winner. My visit to the National Rail Museum in York back in the late ‘80s left a huge impression on me.. stunning.. and I was in my early 49s at the time. Obviously on a smaller scale here though, it still offers huge potential. Fantastic news. I guess as many former employee’s knew. The mover to two different sites was ill conceived. Good news, I was always at a loss as to why they went to the expense and trouble of spreading themselves all over the place when they had a good base in the first place. It was a very bad decision. I think the visitors centre could do with expanding and making it a lot more successful than it is, Honby is a world renowned name, it always struck me that it was run like a Village shop. Businesses sometimes do things for ‘the right reasons’ which turn out, eventually, to be wholly the wrong reasons. Is this what has happened here only for that error to have been accepted and the bitter pill swallowed in order for a reaonably swift return? Great move and the fact the likes of the Bittern will be close by is excellent and kills two birds with the one proverbial stone so to speak.